NEW YORK – It has been absolutely insane the past two days. Today we saw some interesting moves made by Big Blue. The first thing I would like to mention is the classy move to extend head coach Tom Coughlin’s contract through the 2012 season. Tom Coughlin deserves to remain with the team despite what the “experts” say about him being on some invisible hot seat. Coughlin is an elite head coach and a proven winner. As a fan, I am very happy to see John Mara reward Coughlin for his hard work and show how valuable he is to the organization. Congrats on your new contract coach and I hope you can stay another ten years. Another coach that was hired today is assistant special teams coach Larry Izzo. Fans have known about this move for weeks. The Giants have been horrible on special teams the past couple of years. There is just no other way to say it. The Giants actually lost games due to the poor play of special teams and Jerry Reese took notice because he addressed that area during the draft and yesterday when he worked on the undrafted rookies. Izzo was an outstanding special teams player when he played in the NFL and spent the bulk of his career with the New England Patriots and Miami Dolphins. He is a three time Pro Bowl player and a three time Super Bowl Champion. The Giants were unable to work out a deal with DT Rocky Bernard, so he is expected to be released soon. This does not surprise me at all but does make me wonder if the team could have kept DT Barry Cofield if the news was announced prior to him making a six year deal with the Washington Redskins this morning. The team is going to miss Barry Cofield and I was pleased to hear they fought to try and keep him. The Giants have become very deep at the DT position with young talent but losing two veterans could hurt them a bit. The Giants are also looking to sign RB Ahmad Bradshaw, RB Brandon Jacobs and TE Kevin Boss. These three guys were in the news the most today as the front office clearly turns it’s attention to the offense. WR Plaxico Burress is back in the mix as a possibility to return and he is expected to meet with the Giants on Friday. Let’s take a look at some of the moves/deals over the past 48 hours. 1. C Shaun O’Hara – expected to be released. 2. OL Rich Seubert – expected to be released. 3. OL Shawn Andrews – expected to be released. 4. DT Barry Cofield – six year deal with Washington Redskins. 5. DT Rocky Bernard – expected to be released. 6. Coach Tom Coughlin – signs contract extension through 2012. 7. Coach Larry Izzo – hired as assistant special teams coach. 8. OL David Baas – agreed to a deal with Giants via 49ers. 9. OL Kevin Boothe – signs two year deal with Giants. 10. WR Plaxico Burress – meeting with Giants on Friday. 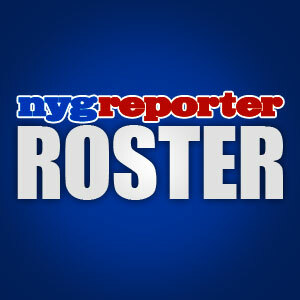 How have you been keeping up with all of the transactions going on with Big Blue and the NFL? Please visit www.hampscamp.com and donate/contribute to Rodney Hampton’s charity for the kids! This entry was posted on Wednesday, July 27th, 2011 at 5:31 PM and is filed under 2011 Fantasy Football, 2011 New York Giants, 2011 NFL Draft, 2011 NFL Preseason, 2011 NFL Regular Season, 2011 NFL Training Camp, Big Blue, Chris Mara, East Rutherford, Eli Manning, G-Men, Giants, Giants Coaches, Giants Front Office, Giants History, Giants Injuries, Giants Roster, Giants Stadium, Giants Training Camp, Giants Transactions, Hamps Camp, Jerry Reese, John Mara, Jonathan Tisch, Justin Tuck, Kevin Gilbride, New Jersey, New Meadowlands Stadium, New York, New York Football Giants, New York Giants, NFC East, NFL, NFL New York Giants, NFL Schedule, Nilay Shah, NY Giants, NYG, NYG Blog, NYG Exclusive, NYG Fantasy Football, NYG Preseason, NYG Regular Season, NYG Reporter, NYG Schedule, NYG Story, NYG Training Camp, NYG Update, NYG Website, nygreporter, Pat Hanlon, Perry Fewell, Roger Goodell, Steve Tisch, Timex Performance Center, Tom Coughlin, Tom Quinn. You can follow any responses to this entry through the RSS 2.0 feed. You can leave a response, or trackback from your own site. Love the coughlin extention,love the izzo hiring.sorry to see some vets go,but to me the cherry on the cake for big blues offense will be signing plaxico burress,there were just to many games when the giants had chances to put the nail in there opponents coffins last season,and they failed to do so either on running the ball on 3rd down or dropping easy wide open passes.i just cant help but think things would have been different with a plaxico burress in the mix.anyone could say what they want,but the g-mens passing attack has not been the same since 07 without plax,,thats fact.with the steelers in the mix now for burress,im going crazy waiting for friday 6pm. I love the team signing Coughlin to an extension and bringing in Izzo too. We will have to wait and see what happens with Burress. Remember, he has to want to come to New York too, it won’t just be the Giants choice. i would be the first to admit that i thought the giants veteran o-line would be intact until 2012,and i also thought the rookies with the lockout situation would not be ready until than.but i think the giants draft picks will be in the mix with a few free agents on that once stellar line.look for james brewer,jaquain williams and greg jones all to contribute this season.as far as our defense,i feel the g-men will be one of the best in the league playing with a chip on there shoulders and a bad taste in there mouths from last years monumental collapses against philly the titans,colts and the packers. as far as im concerned,if pete fewell dont have a fire in his eyes and the best defense in the nfc,i would be shocked. I’m concerned about the offensive line too. I’m really not worried about our defense at all, except at the linebacker position, which is more then capable of handling things without a superstar in that group. We have very serviceable linebackers on the team. Perry Fewell has proven to be an elite defensive coordinator and I expect another year of dominance from that group. I think that the Giants should give P. Burress another chance to play with the Giants 1 more time. Burress is a very good reciever, and he could once again be very valuable to the Giants. Hey, Michael Vick got another chance to play with the Eagles, so, why should’nt P. Burress get a 2nd chance with the Giants? Everybody deserves a 2nd chance. Go Giants! Go P.Burress! Hello Don, I agree that Plaxico deserves another chance in the NFL after paying his debt to society. I would also like to see him return to the Giants but the question is really if Plaxico wants to return to New York. It looks like the Giants, Steelers and Jets are the 3 teams he has locked in on per the media but I would not rule out the Eagles either.